This code is using a pattern from the Microsoft Enterprise Library version 2.0 (no longer supported by Microsoft) for setting up an external library to be invoked by an application. The external library in this case is your extension, the application is Netviewer. All it takes for Netviewer to invoke the extension is a class derived from Microsoft.Practices.CompositeUI.ModuleInit and create a constructor with an Microsoft.Practices.CompositeUI.ServiceDependency argument. In line 10 a Microsoft.Practices.CompositeUI.ModuleInit-derived class is declared and at line 12 you can see the constructor. If your extension is compiled to an assembly called ‘NetviewerLibrary1′, you include your extension in the ProfileCatalog.xml file and add your command to IngrViewer.exe.config, Netviewer will invoke your extension. 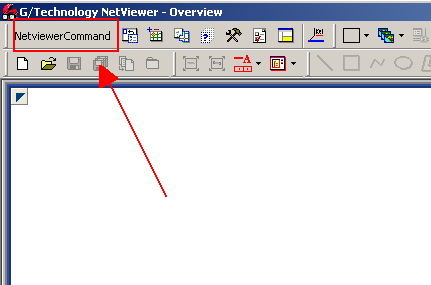 If you now run Netviewer, there will be an extra button with a label “NetviewerCommand1″ and if you click it, your commandhandler will be invoked. You can download the complete source for this example over here. This entry was posted in Netviewer, Visual Studio and tagged debugging, G/Netviewer, Netviewer, Visual Studio. Bookmark the permalink. I have a Gcomms Custom Command that I want to also include in NetViewer. I am having difficulty making this work. My custom command pops up a window for the user to type information into. Do you have any tips on how to do this? Custom Commands don’t work in NetViewer, Netviewer has a complete different programming model so you need to convert your custom command into a Netviewer Extension to get it to work. Here is my skeleton code. This is my very first Gcomms Custom Command. It’s in two files denoted by the filenames. This code pops up a window and allows the user to type in an address, intersection, POI or business category and it zooms them to that location inside Gcomms. If the query returns more than one result(POI and Category Searches) the results are listed out with LinkLabels for the user to click and choose whichever they want. My problem is that I have never setup a NetViewer Custom Command before and have not idea how to start. Using your blog post here I have been able to move around the buttons on toolbars but not been able to add the custom command button as you show. I have also took the example code, added the references and built it. I have moved the resulting dll to the Gcomms Program folder. I have tried to use your example code and model the Gcomms Custom Command after it, but I have not had any luck with it. this is a custom command which will only work on G/Technology, if you want to customize Netviewer you need to create a new type of extension dedicated to Netviewer-client, a Netviewer extension. 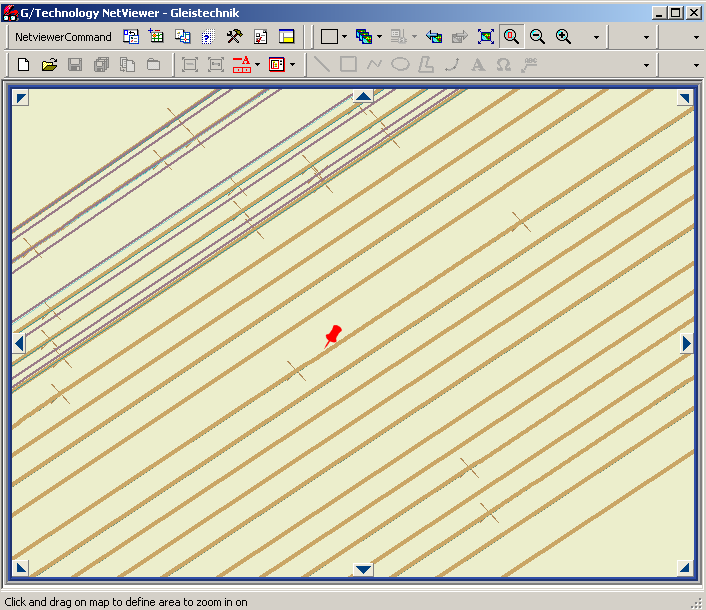 Do you have a working netviewer environment, and followed the instructions I gave in my Blog Post about netviewer extensions ? I tried to use your example code to change my Gcomms Custom Command so it would work with NetViewer but I am running into issues with it. I think the main issue is where I create an object of the class LatLongZoom. In the gcomms code the constructor takes zero arguments, but after I changed it to match your example it takes [ ServiceDependency()] WorkItem rootWorkItem as an argument. I then tried to just use your example code and have it run in NetViewer. I was not able to get the custom extension button to show up in the toolbar. I was able to move around the already existing buttons so I know I am editing the correct file. This is really a mater of C# coding, if you have it running you should be able to call a constructor and further develop it. If you really can’t get it to work mail to stephan.deckers@merkator.info then I’ll see what I can do.